Last year at Labour Party Conference, when Gordon Brown promised a referendum on changing the voting system, specifically holding a referendum on the Alternative Vote system (AV), I was absolutely delighted. Today the Guardian provided this very helpful demonstration of how AV would work. My twenty- five years of struggling to get even the very idea of fair votes for the House of Commons recognised seemed at last to be getting somewhere. When you’re involved in what is often seen as a minority, not to say geeky, campaign it’s sometimes hard to keep your sprits up. But we have, and we’re finally winning through. Going that crucial step further, Gordon’s announcement in a speech to the Institute for Public Policy Research (IPPR) yesterday that the referendum will be held in October 2011, was the next thing electoral reformers wanted to hear. The Prime Minister has now said he will have a referendum, a pledge he will, I believe, do everything he can to honour. It is now up to Gordon to find the parliamentary time before the expected Easter dissolution. I understand that some Conservative co-operation may be required to make such time available. However, Gordon has to come out on top on this one. Having made such a public commitment, he really must see it through and get the law setting the date for a referendum passed before the general election in order that his target date for the referendum of October 2011 may be met. Gordon has made it clear that the referendum would be restricted to whether to stick with first past the post or to move to the alternative vote. 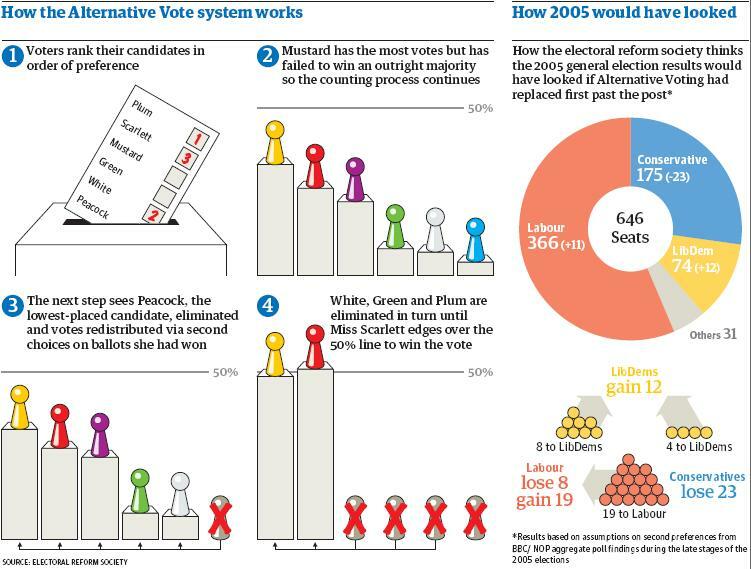 There are, I know, those among electoral reform campaigners who think AV is not proportional enough. I think we must embrace Gordon Brown’s initiative as the only change we are likely to get in the foreseeable future. It may not go as far as we would like, but it’s much better than first past the post. Things are very different in the Labour Cabinet. Ed Balls, the schools secretary, is a supporter of AV, as is Home Secretary Alan Johnson, John Denham, the communities secretary, Peter Hain, Welsh secretary, Cabinet Office minister Tessa Jowell, and, last but not least, Ben Bradshaw, the culture secretary. Though the introduction of AV is the most important policy demanding immediate action, Gordon’s speech yesterday did not stop there. He also announced that he wants a written constitution by 2015, the 800th anniversary of Magna Carta; a right for constituents to recall MPs if found guilty of corruption: a draft bill introducing a mainly elected Lords; and approval for local government reforms, entitled Total Place, that he said could produce £15bn of savings. He also said he supported votes at 16, but gave no commitment to put the proposal in the Labour manifesto. I believe constitutional reform is important for its own sake. Britain is the only country in Europe which does not have a proportional electoral system for its upper house. On the other hand, I remain to be convinced that a package of changes to the way parliament and other representative institutions are elected will achieve very much in restoring people’s trust in politics, except perhaps for the measure to recall corrupt MPs. 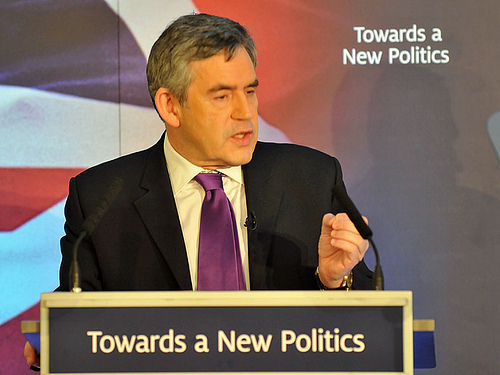 Gordon Brown is setting out a vision for a modern democracy. 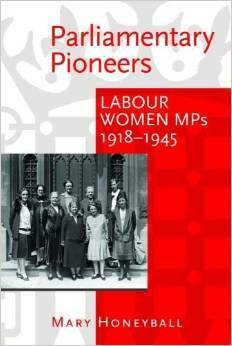 As the only real modern, progressive Party in Britain, Labour members have, I believe, a profound duty to support our Prime Minister in this crucially important task.